The premise of Psychos is three girls receive a mysterious video from their childhood, when they were held in captivity by a sadistic man. Now that they're all grown, the three women seek revenge, becoming the predators of the man who was once a predator on them. Female revenge horror is a fairly common storyline, but one I usually enjoy. 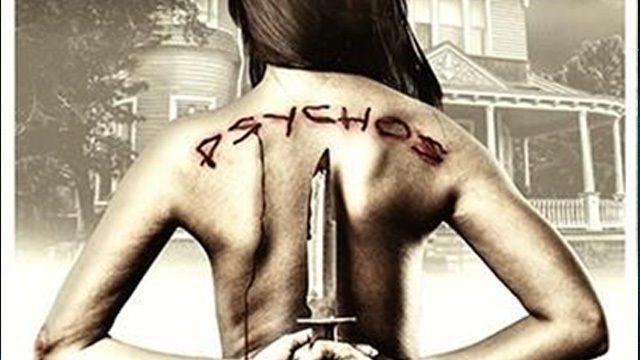 With a movie poster as good as Psychos I set myself up for disappointment. From the opening of the movie, nothing fit right. The film quality is simultaneously a good quality camera but with poor shots which were even out of focus at times. Don’t even get me started on the fast moving scenes where the camera just couldn’t seem to keep up with the action on screen. The musical score is laughable. Typical horror movie sounds during intense and suspenseful scenes but done at all the wrong times. There’s also the voice overs. Dialogue, heavy breathing and other various sounds that were obviously added in later. Some of the voiceovers were bad enough, I was expecting Godzilla to knock over a building at any moment. I hate to do nothing but bash a movie. This is normally a film I wouldn’t be able to finish. I only did so to provide a credible review. The only other good thing I found in the film was the burial of the body parts in the potted plants. Which did provide a good visual.